I started this year with an entry about David Bowie, so I thought it would be appropriate to end the year with Bowie as well. He surprised everyone - again - with his latest offering, 'Sue (Or In a season of crime)'. 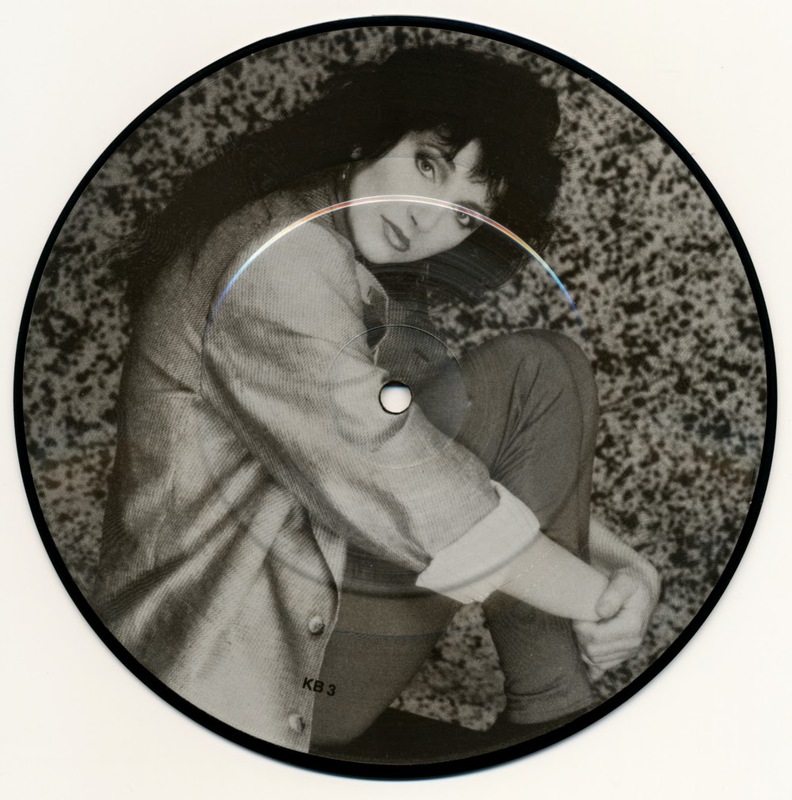 The single was released on 10" vinyl only, so no cd-singles, 7" or 12" at all. The track also appeared on his latest compilation, 'Nothing has changed'. But does the world really need yet another Bowie compilation album? I guess record companies still like to cash in with old stuff. 'Sue' is a weird offering, as it sounds a lot like jazz and it can seem a bit tedious, being such a long track. But repeated listening is rewarding. Bowie keeps changing, even if nothing much has changed. 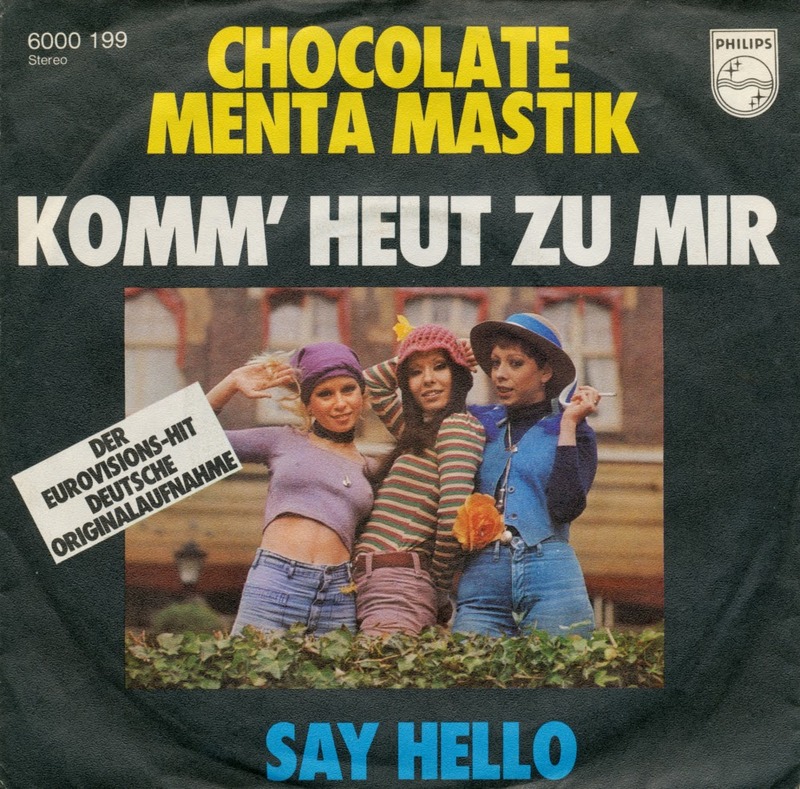 Chocolate, Menta, Mastik ('Chocolate, mint, gum') was an Israeli female musical trio, active in the Seventies, composed of Yardena Arazi, Ruthie Holzman and either Tami Azaria (1972-1973) or Leah Lupatin. The trio performed both in Israel and Internationally, especially after being the 1976 entry to the Eurovision Song Contest in The Hague with 'Emor Shalom'. Founded in 1948, Israel was a 28-year-old country in 1976, giving the line "I've been alone for almost thirty years" an extra meaning- since it gained independence Israel was isolated in the Middle East, surrounded by hostile Arab countries (Egypt and Jordan signed peace agreements with Israel since then). At the close of voting, it had received 77 points, placing 6th in a field of 18 competitors. This single presents the German and English versions of their song. 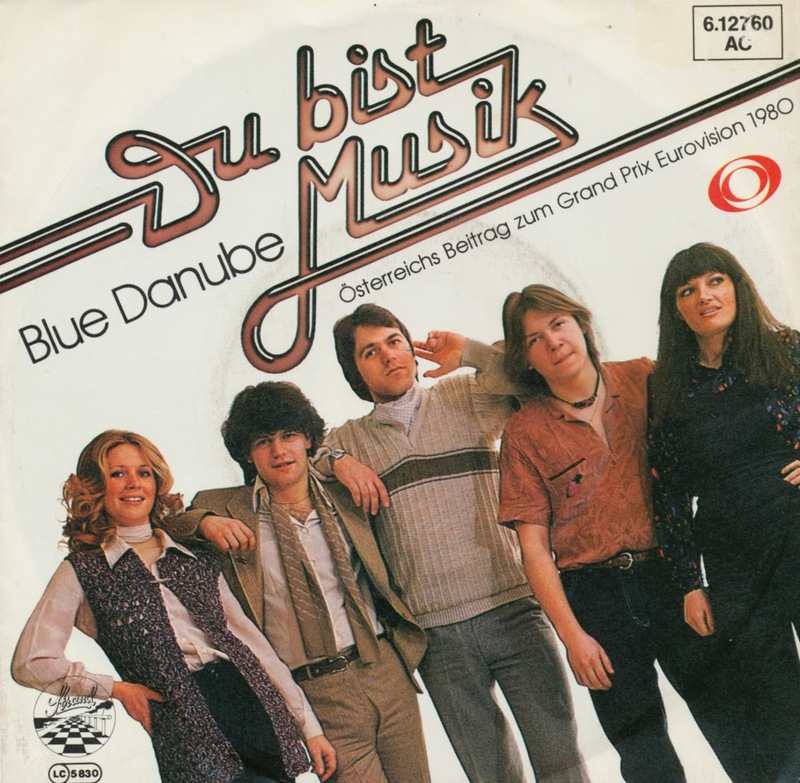 Blue Danube was an Austrian band that has represented their country in the 1980 Eurovision Song Contest. Their song 'Du bist musik' ('You are music') was filled with names of famous composers and certain types of music. The band consisted of Marty Brem, Wolfgang 'Marc' Berry, Sylvia Schramm, Rena Mauris and Wolfgang Weiss. 'Du bist Musik' received 64 points, placing 8th in a field of 19 competitors. The group split up after Eurovision, but Marty Brem reappeared solo on the 1981 Eurovision Song Contest, representing Austria with 'Wenn du da bist'. Björn Nils Olof Skifs was born on April 20, 1947 in Vansbro, Dalarna, Sweden. He formed his first musical group Slam Creepers in 1962. Slam Creepers split in 1969 and Skifs went on to form a new band, Blåblus, in 1972. As Blue Swede, the band had a number 1 hit on Billboard Hot 100 in 1974 with a cover of 'Hooked on a feeling'. Björn Skifs left the band in 1976 to pursue a solo career. He recorded the duet 'Med varann' with Anni-Frid Lyngstad for his 1975 album 'Schiffz'. Skifs appeared as The Arbiter on the original studio album for Chess, released in 1984. Skifs also recorded several demos for the album, including 'One night in Bangkok', later performed by Murray Head. In 1981 he represented Sweden in the Eurovision Song Contest with 'Fångad i en dröm'. 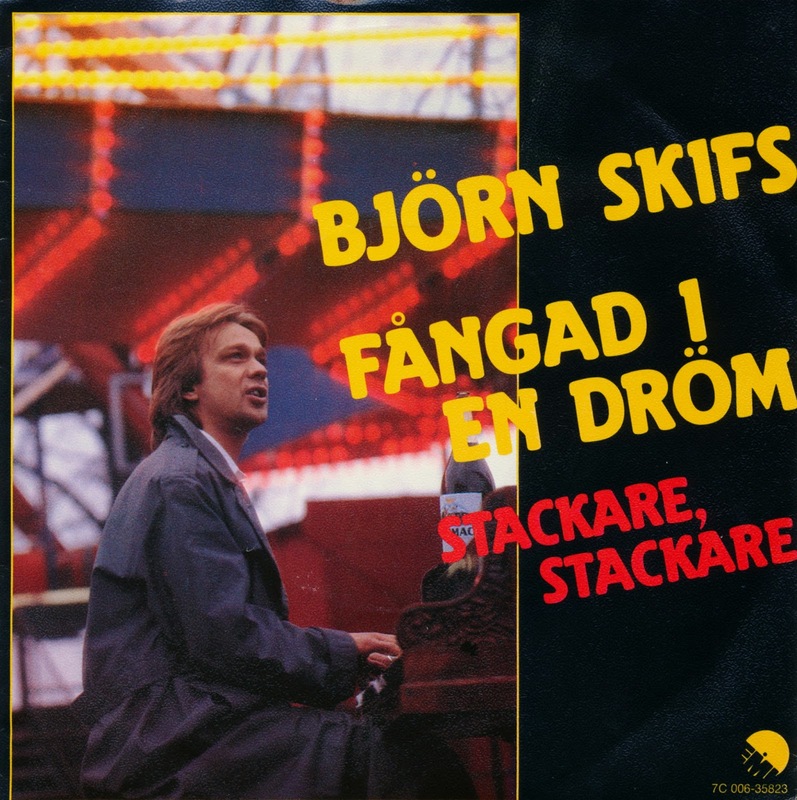 This was the second time that Björn Skifs had represented Sweden in the contest, having previously entered the contest for Sweden in 1978 with the song 'Det blir alltid värre framåt natten'. Like in 1978, Skifs was the last performer of the night. At the close of voting, the song ended up in 10th place in a field of 20 competitors. I don't know why, but the 1986 Spanish entry for the Eurovision Song Contest always stuck out in my memory as one of the best Spanish entries ever. I had a lot of trouble finding a copy of the single ever since I started looking out for it some 20 years ago. Even online, because whenever I found a copy the seller was asking way too much for it. 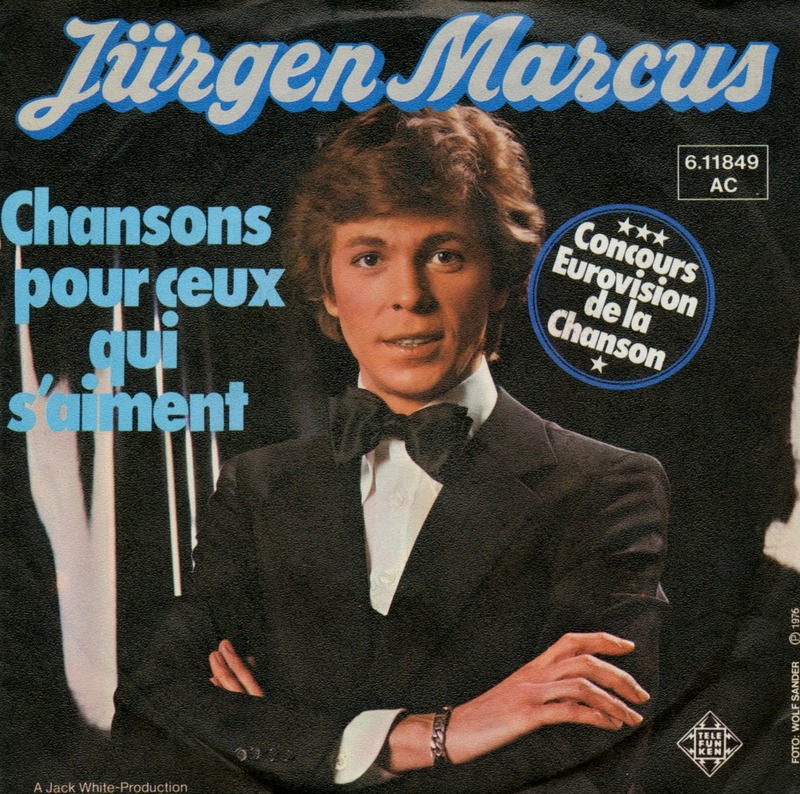 That's why I was happy to finally spot a copy on Discogs.com last month for a reasonable price, and from a seller who had more interesting Eurovision singles on offer. After all these years, I finally have this single. And how did this song perform in 1986? At the close of the voting had received 51 points, placing 10th in a field of 20 competitors. 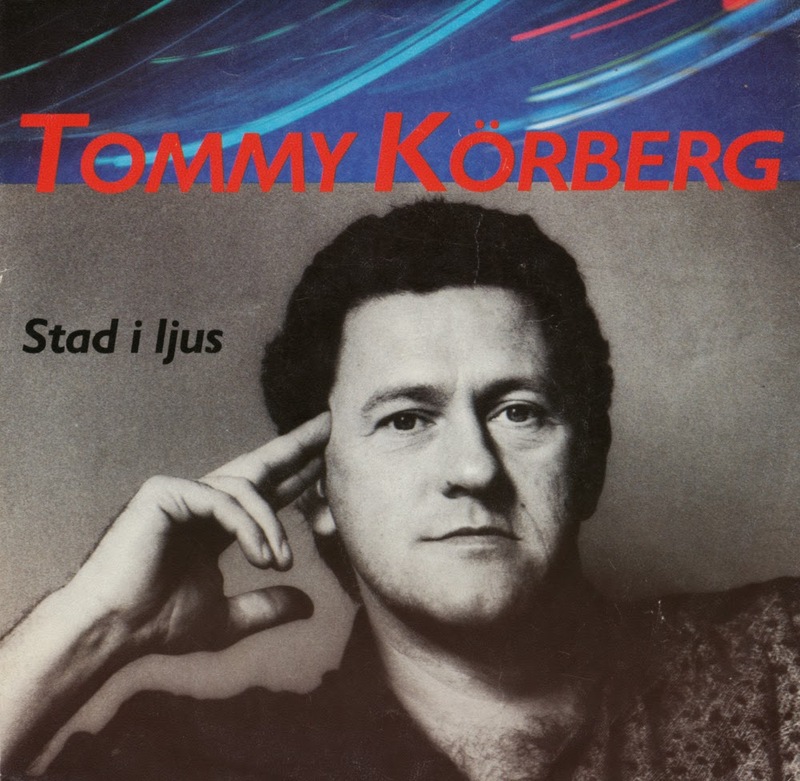 Bert Gustav Tommy Körberg was born in Norsjö (Sweden) on July 4, 1948. In 1988, he represented Sweden in the Eurovision Song Contest with 'Stad i ljus', a beautifully orchestrated ballad.The song finished 12th in a field of 21 competitors. The single peaked at number 8 at the Swedish singles chart. 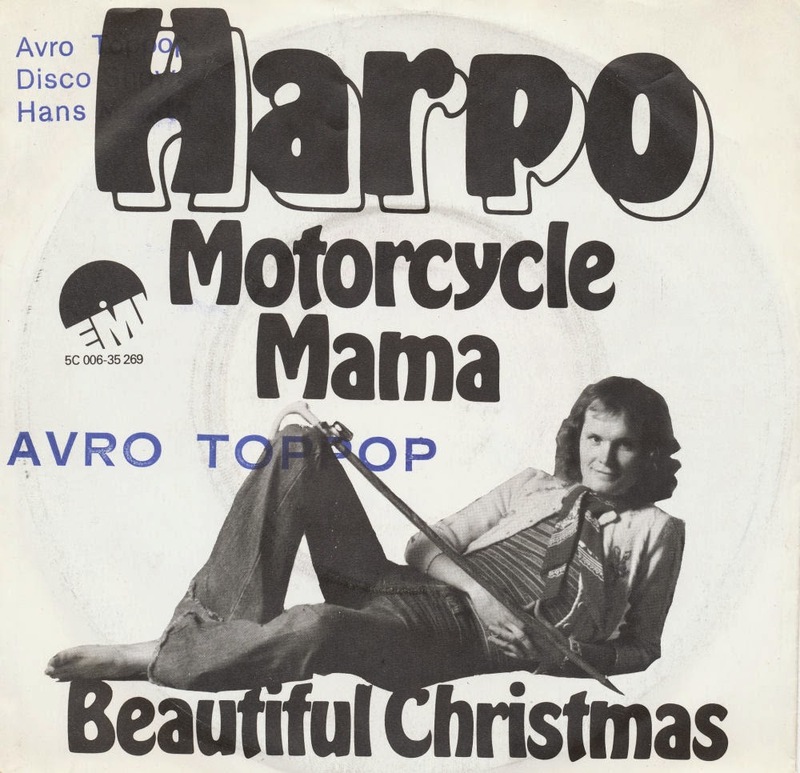 On the single, the song appears sung in Swedish and in English. In 2013 Körberg tried to reach the Eurovision Song Contest one more time as part of he group Ravaillacz. They ended up in 10th place in the Swedish national final. Ronnie Carroll returned in the Eurovision Song Contest the year after he appeared with 'Ring-a-ding girl'. 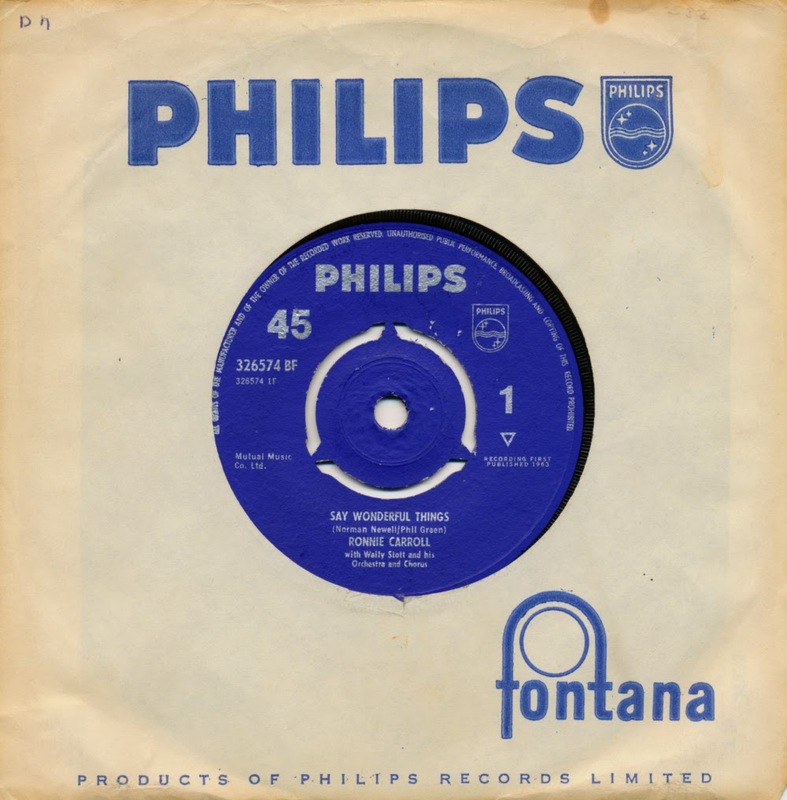 'Say wonderful things' was the song he competed with in 1963, and just like in 1962 he finished fourth. 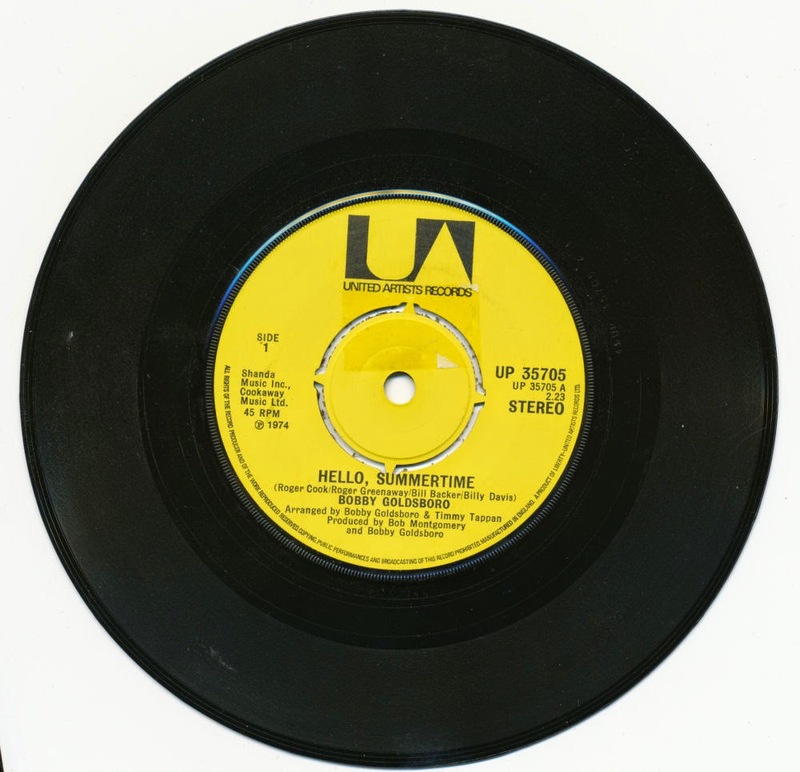 The single was considerably more successful in the UK singles chart, peaking at number 6. The most popular version of the song in the United States was recorded by Patti Page, as the title song of her first album for Columbia Records. Page's record peaked only at number 81 on the Billboard Hot 100 but was more successful in Australia, continental Europe and in Asian territories such as Hong Kong and Japan. Ronnie Carroll was born as Ronald Cleghorn on August 18, 1934 in Belfast, Northern Ireland. He scored his first hit in 1956 with 'Walk hand in hand'. 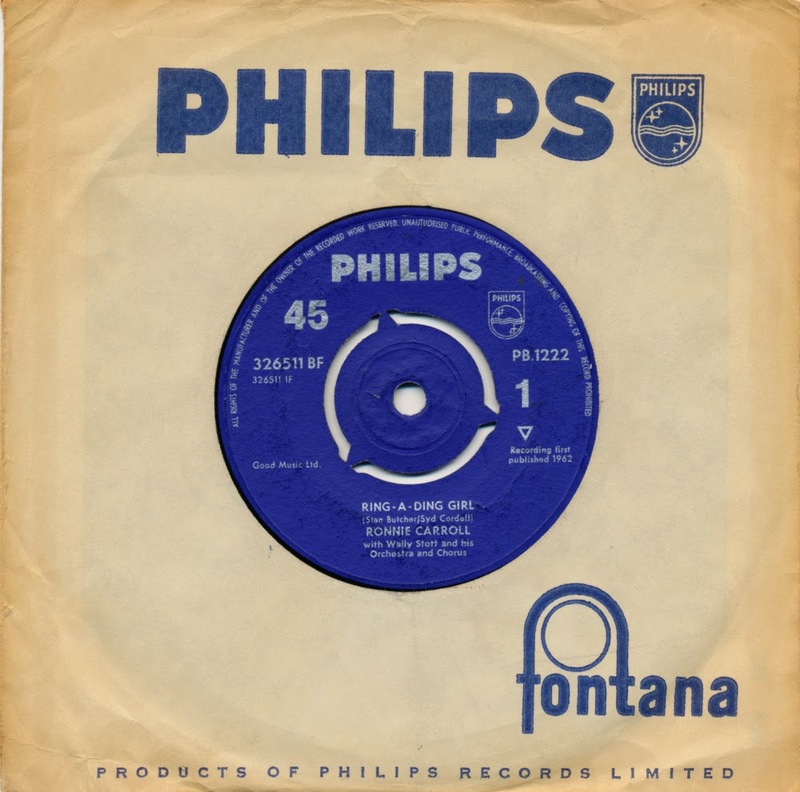 Having taken part in the 1960 UK Eurovision selection contest with the song 'Girl with a curl', he returned to win the selection and be Britain's entry in the Eurovision Song Contest 1962. The song 'Ring-a-ding girl' received 10 points, placing 4th in the field of 16 competitors. The single reached number 46 in the UK singles chart. Hot Eyes was the name adopted for international acts by the Danish singing duo known in their home country as Kirsten and Søren. It was formed by Kirsten Siggard (born 7 September 1954 in Slagelse) and Søren Bundgaard (born 4 March 1956 in Glostrup). 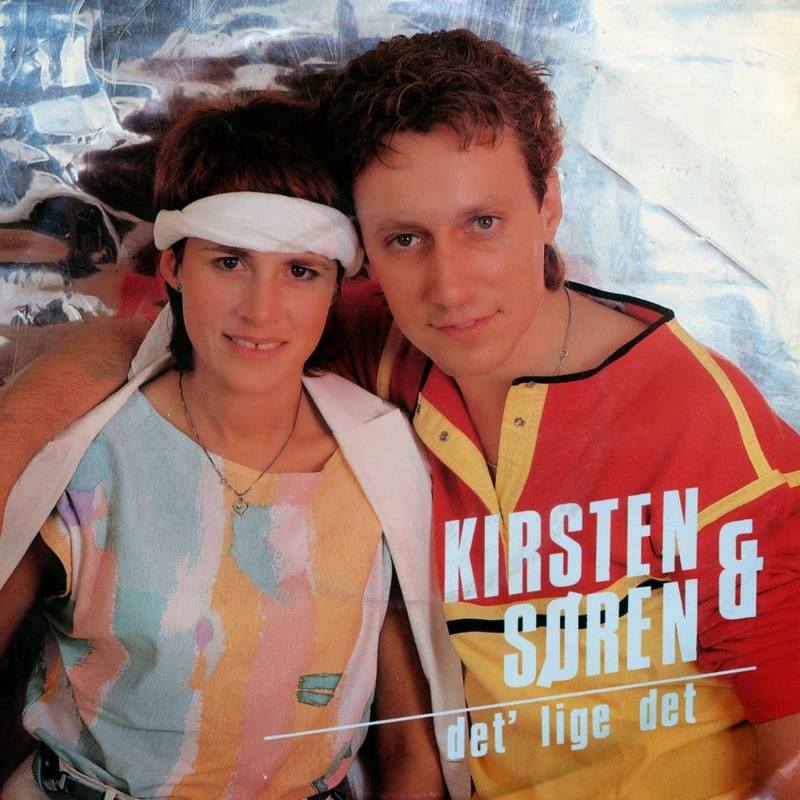 In 1984 they participated in the Eurovision Song Contest as Kirsten and Søren with Det' lige det, but in 1985 they participated as Hot Eyes with 'Sku' du' spørg' fra no'en?' ('What business is it of yours?'). At the close of voting, this song had received 41 points, placing 11th in a field of 19 competitors. The duo would return to the Contest in 1988 with the song 'Ka' du se, hva' jeg sa'? ', again as Kirsten & Søren. One single by Hot Eyes then. I found this copy at a cheap German dealer's stall at the record fair in Utrecht, much to my surprise. 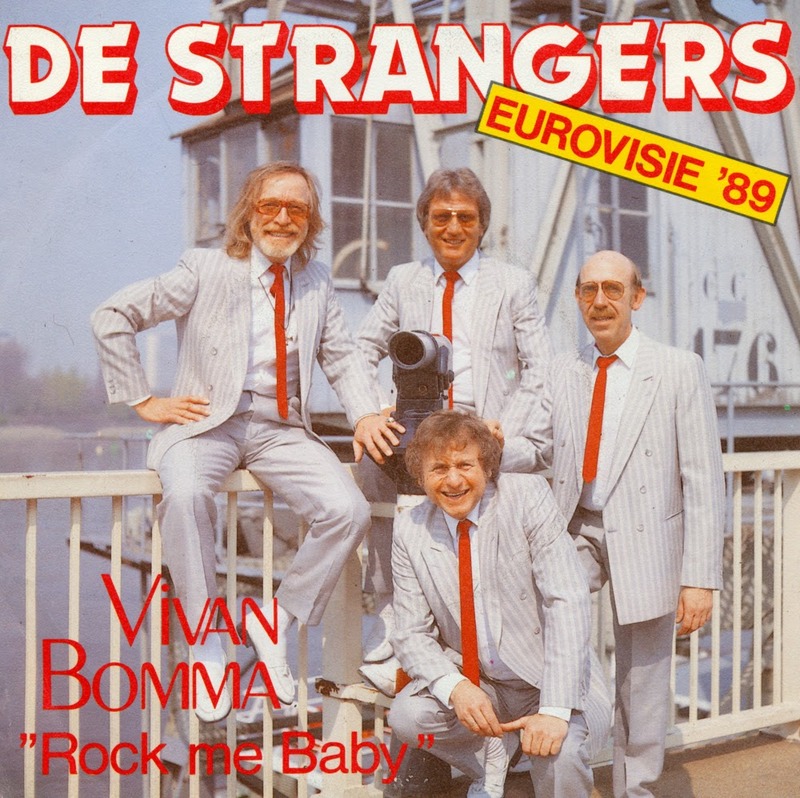 It features the English version of their 1985 Eurovision song, with the original Danish version on the B-side. 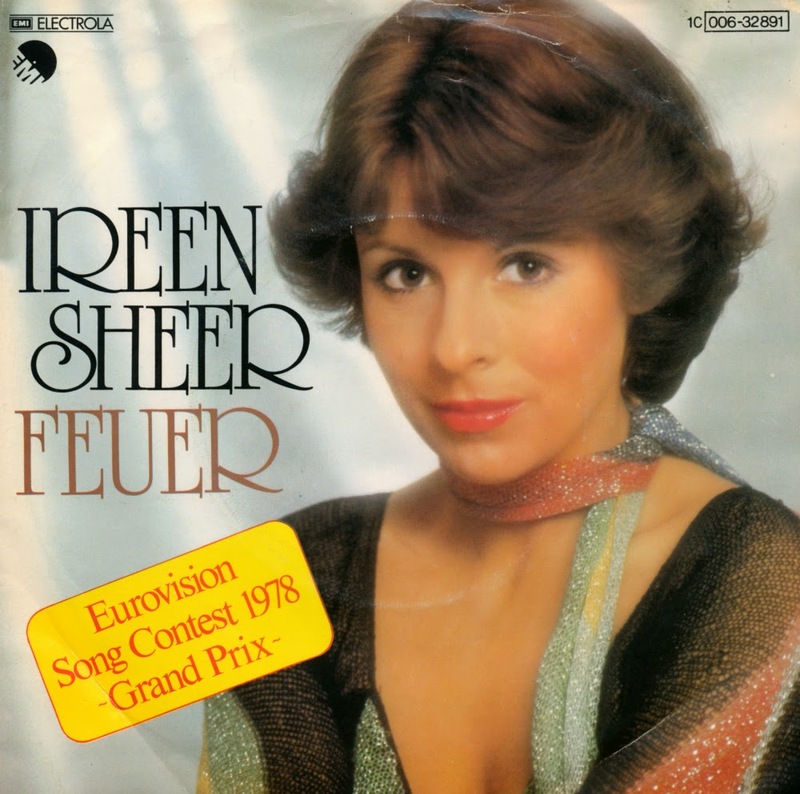 Ireen Sheer was born on February 25, 1949 in Basildon, Essex, England. She has competed in several Eurovision Song Contests over the past four decades. She married another musician, Gavin du Porter, in 1976. 'Feuer' ('Fire') was the German entry in the 1978 Eurovision Song Contest. 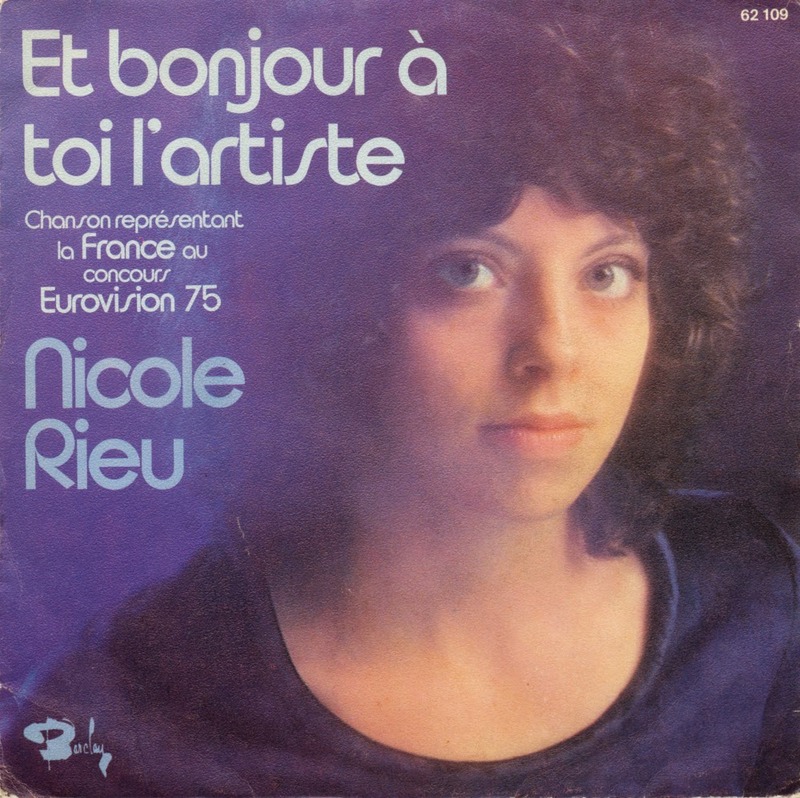 This was Sheer's second Eurovision entry, in 1974 she had represented Luxembourg with Bye Bye I Love You, then singing in French. The song was performed thirteenth on the night. At the close of voting, it had received 84 points, placing 6th in a field of 20 competitors. 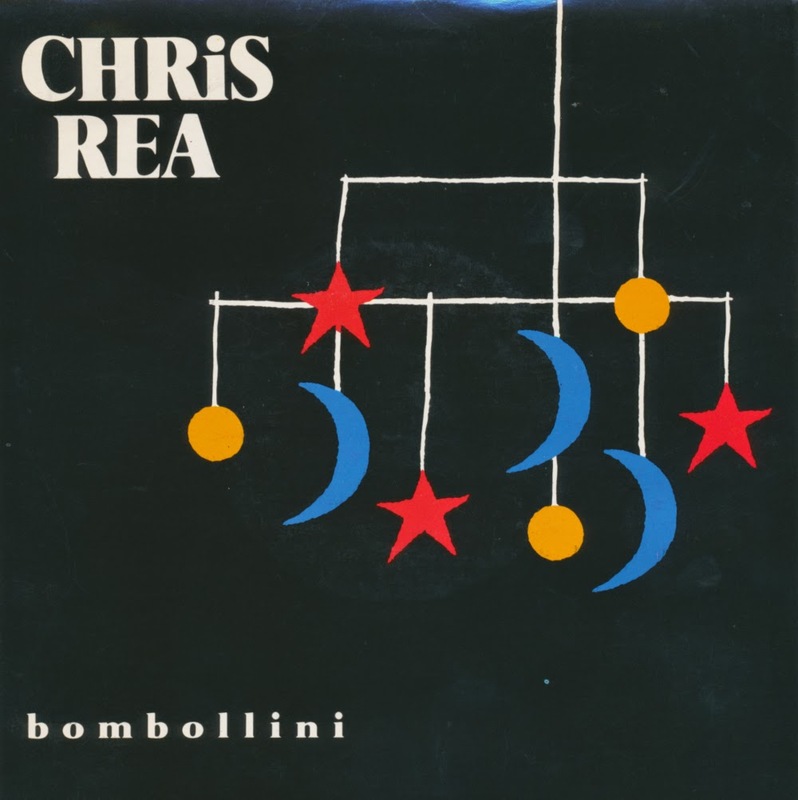 Released as the first single from Chris Rea's 1984 album 'Wired to the moon', 'Bombollini' was a bit of an eccentric choice. Clocking in at 6 minutes and 10 seconds, the track bares some resemblance to his later hit single Nothing to fear (1991). Almost unsurprisingly, 'Bombollini' didn't become a hit, just like the other two singles from the album. Still, this single is worth a spin or two, because it shows the craftmanship of Chris Rea like no other single from that point in time in his career. Great melody lines and skillful guitar solos, that's the way we like it. Arlette Zola was born as Arlette Jaquet in the city of Fribourg on 29 April 1949. She started her singing career in the Sixties, releasiung more than twenty albums between then and now. 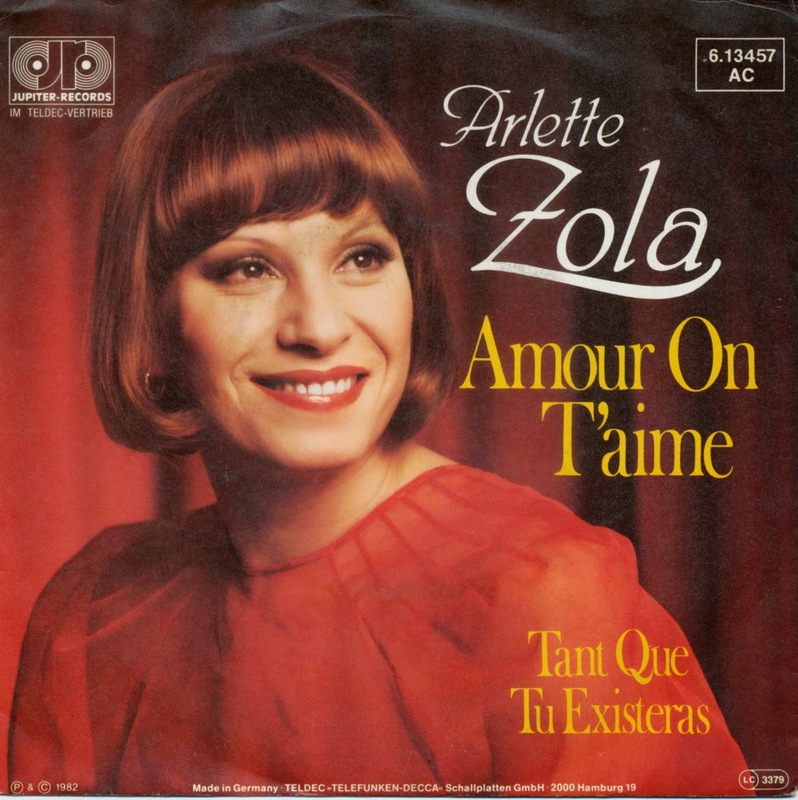 In 1982 she represented Switzerland during the Eurovision Song Contest with the song 'Amour on t'aime'. The song was performed as 7th on the night. At the close of the voting, it had received 97 points and placed 3rd in a field of 18 competitors. 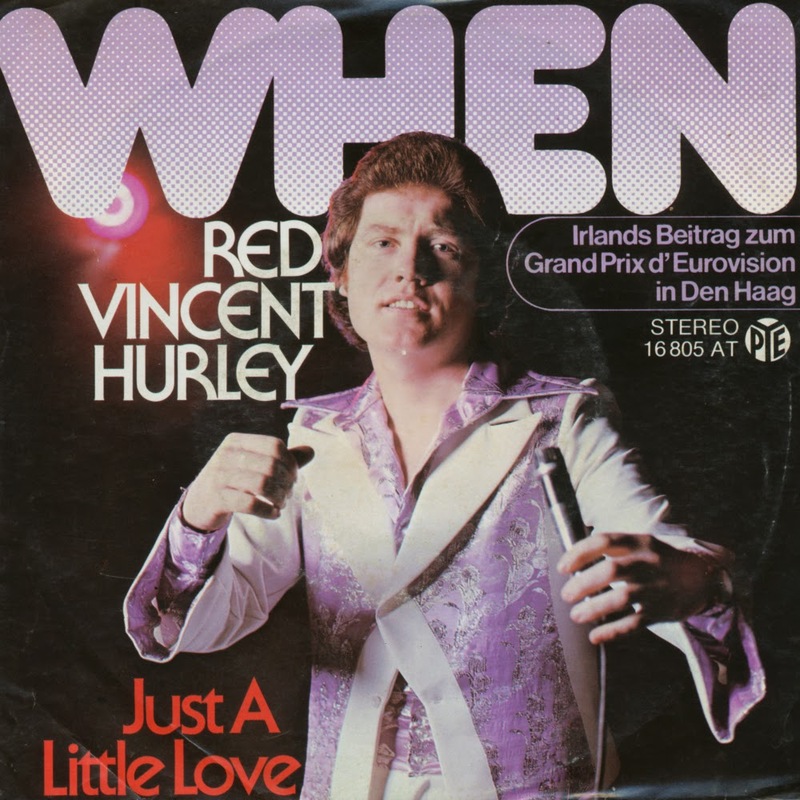 'Red' Vincent Hurley was born on September 11, 1949. He's one of Ireland's most enduring popular singers whose career has spanned several decades from the Seventies to the present day. He is principally known as a solo artist, although he has performed with various bands and pop groups, most notably, 'The Nevada', with whom he enjoyed his first series of number one records at the beginning of his career. He represented Ireland in the 1976 Eurovision Song Contest with the song 'When'. The song was performed seventh on the night. At the close of voting, it had received 54 points, placing 10th in a field of 18 competitors. Vicky Leandros competed in the 1972 Eurovision Song Contest for Luxembourg with Apres toi. 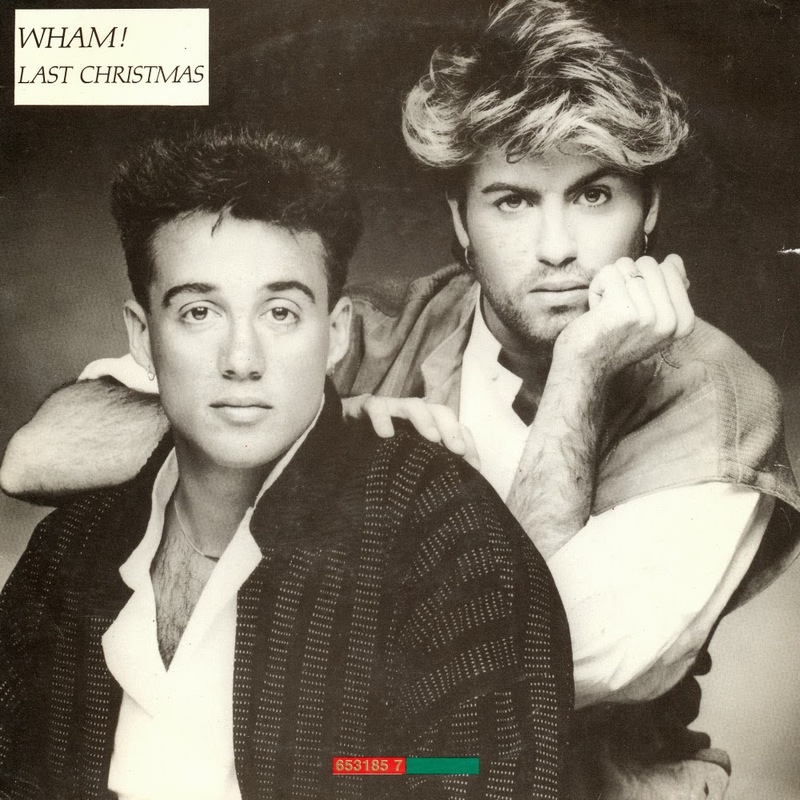 The single was a big hit in Europe, and even managed to chart in the UK. This was helped by the fact that Leandros recorded an English version of her song, entitled 'Come what may'. 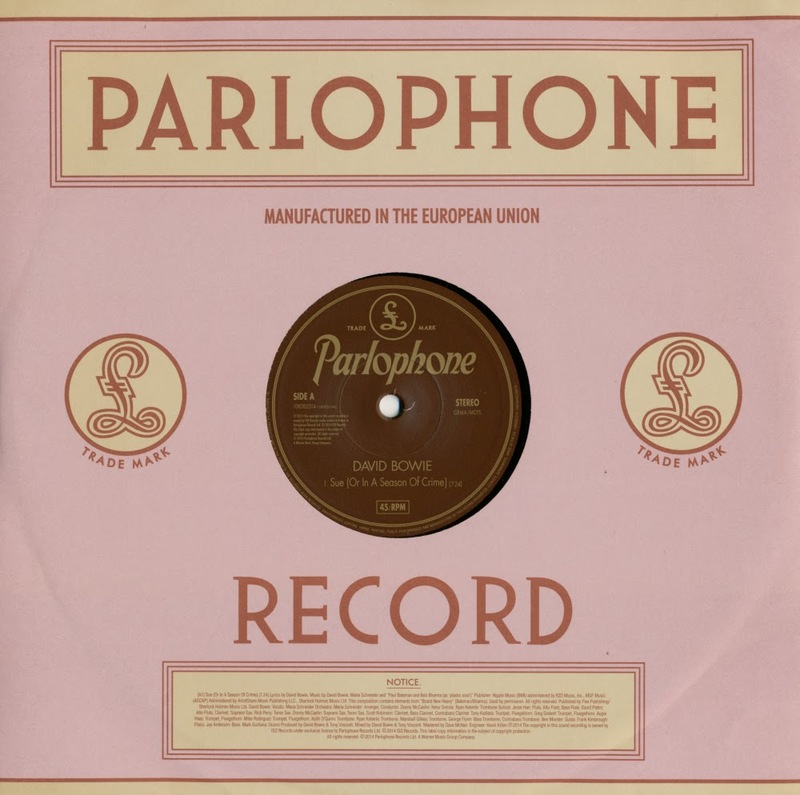 It appears on this single, along with another English-language track on the B-side. Rare singles come in many gueses, but I always get a weird feeling when I get my hands on a single that was made of 50 years ago. 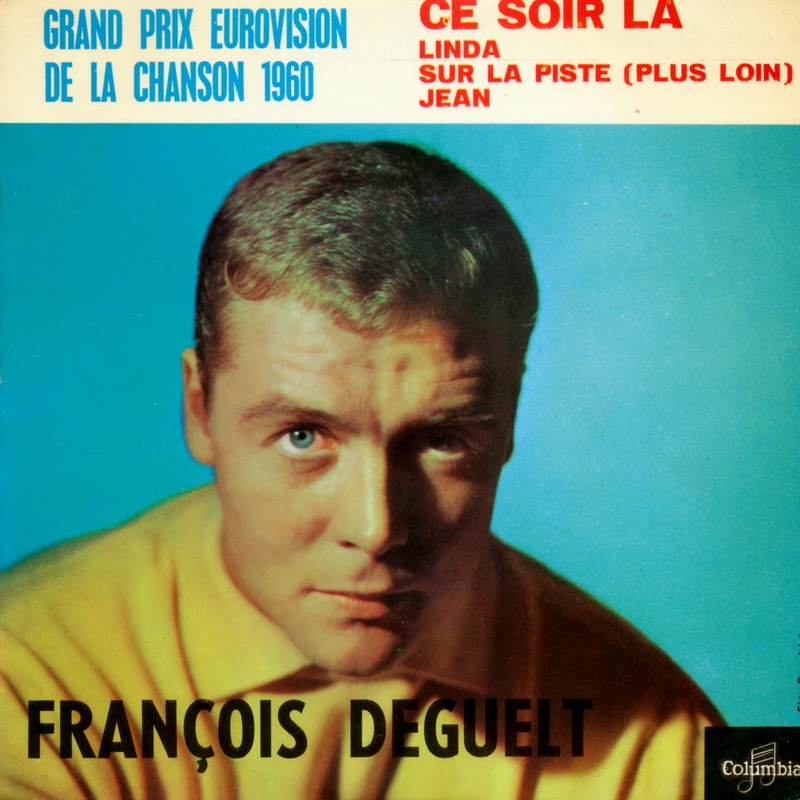 I wasn't even born in 1960, but the Eurovision Song Contest was already celebrating its fifth edition and François Deguelt represented Monaco with the beautiful song 'Ce soir-là', included in this delightful little EP. 'Ce soir-là' is in the chanson style popular in the early years of the Contest. Deguelt describes the first night he spent with his lover and explains to her that he realised then that 'Life would never have attraction for me / Far from you'. It appears from the lyrics, however, that his lover has left him since then, which has resulted in his perpetual waiting for her return in order to relive 'that night'. At the close of voting, this song had received 15 points, placing third in a field of 13 competitors. Also check out the swinging 'Linda' on this disc - it is very different and very enjoyable. 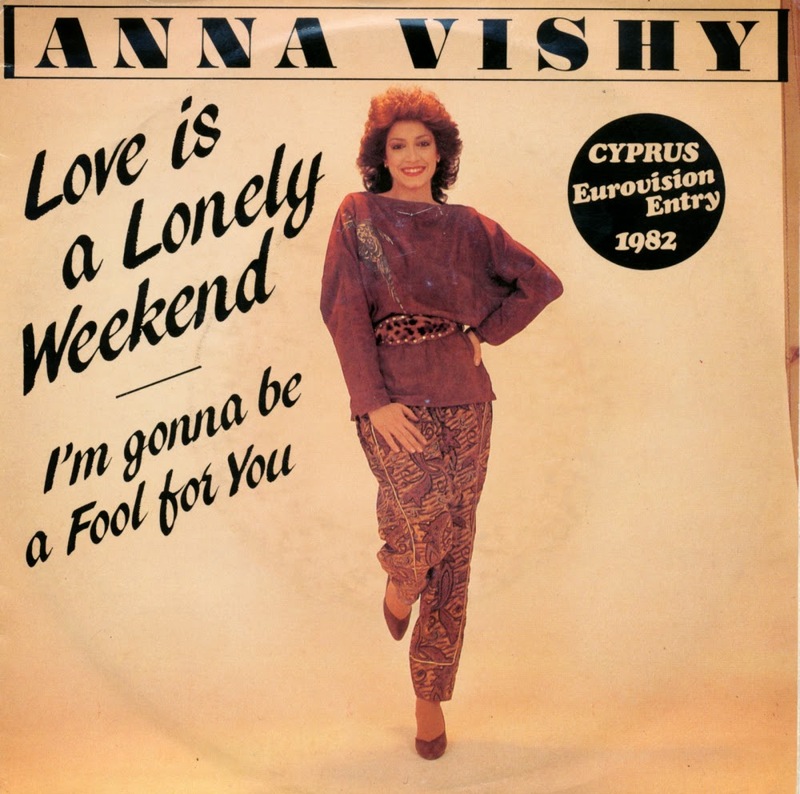 I don't have any Eurovision singles from Cyprus yet, so getting this single by Anna Vishy was a bit of a milestone. Anna represented Greece in 1980 and 2006, but represented Cyprus in the 1982 Eurovision song Contest with 'Mono i agapi' ('Only love'). At the close of voting, the song was placed fifth in a field of 18 competitors. It has remained Cyprus' best showing in the Contest to date. 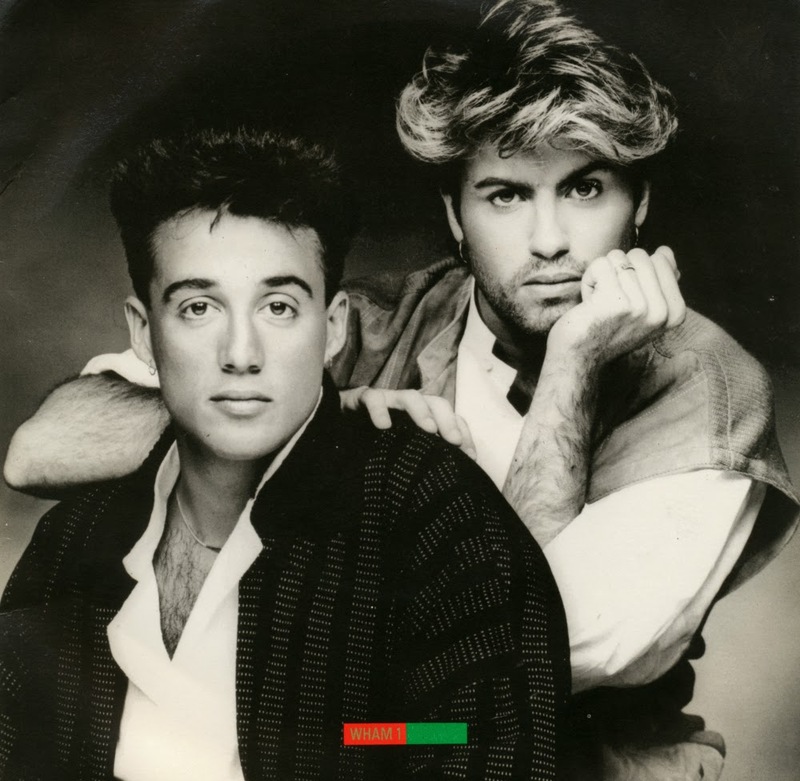 The English-language version of the song was entitled 'Love is a lonely weekend' and was released internationally by CBS Records. Being one of the biggest names in pop music, you would wish for the Beatles that if they got a musical tribute, it would be a worthy one. 'Beatles', written by Sven Olov Bagge and Claes Bure, was not that song. 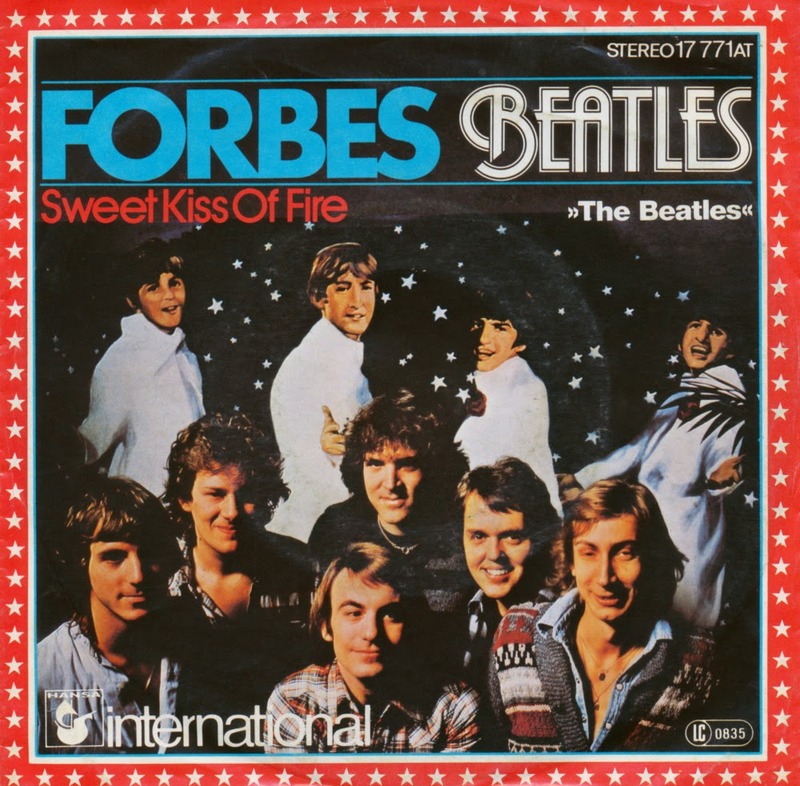 It was a calculated move by the Swedish band Forbes to use English phrases, motivated by the fact that the 1977 Eurovision Song Contest took place in the United Kingdom. The audience cheered at the song, but the juries had another opinion. The song finished last, with only two points from West Germany. At the Swedish singles chart, it peaked at number 3, amazingly. Sometimes I buy a single and I can't believe my luck. This EP from 1964 (!) in very good condition and a 'Factory sample - not for sale' sticker on the label appeared in my hands during the recent record fair in Utrecht. I think the dealer didn't know what he was selling, because this EP appears online for a tenner or more. 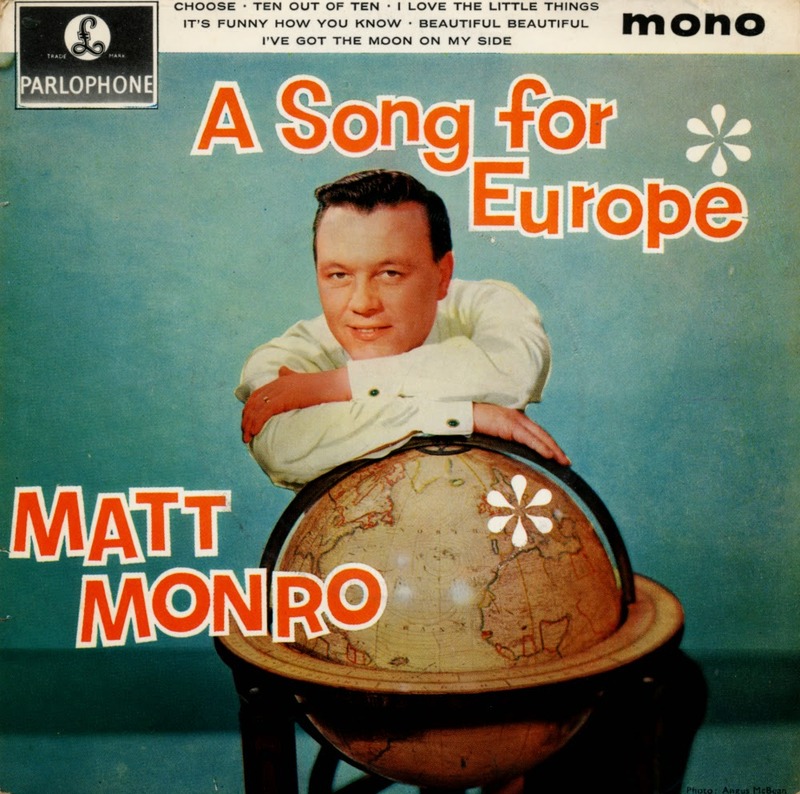 This 'A Song For Europe' EP was released on the occasion of Matt Monro's appearance in the TV programme of the same name, also known as the national final of the Eurovision Song Contest in the UK. The song that was chosen was 'I love the little things' (track 3 on side A), which ended second in a field of 16 competitors in the Contest that year. 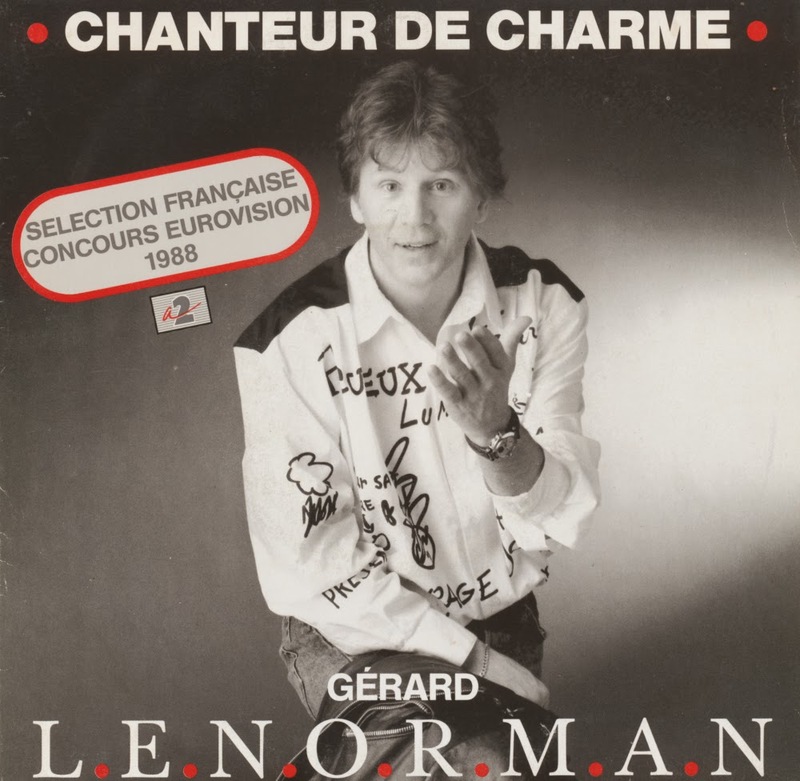 'Chanteur de charme' ('Crooner') was the French entry in the Eurovision Song Contest 1988, performed by Gérard Lenorman. The song was performed nineteenth on the night. At the close of voting, it had received 64 points, placing 10th in a field of 21 competitors. As befits the title, the song is a ballad, with Lenorman singing about the subject matter that crooners traditionally sing about. That is to say, he sings about the subject matter itself, rather than singing the type of song usually associated with the style. Indeed, he likens the songs themselves to "these stories of three times nothing, which rhyme badly, which do good" and later adds that "Nothing has ever prevented us from setting to music, those endlessly repeated clichés, romantic feelings" and remarks that his heart "stupidly proposes on the first page of a paper". Although I already own the original version of Stool Pigeon and this remix version, the double pack pictured here looked like an even more attractive package. Regular readers will know that I'm a sucker for limited edition packages, and especially when they are cheap. Well this one was 'two singles for the price of one', and in the second hand market, even less than that. 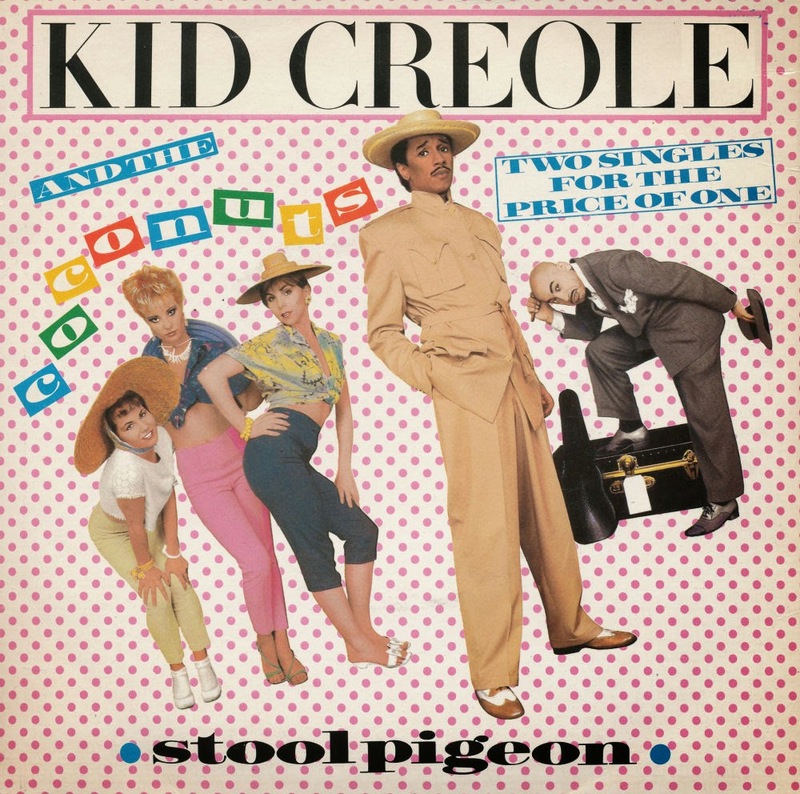 However, the second single serves only as proof that Kid Creole and the Coconuts are not necessarily an attractive package as a live act. Perhaps the quality of these recordings are to blame, but I find these two tracks rather clunky. Oh well, you can't win them all. The single Lass die Sonne in dein Herz has appeared on this blog as far back as March 2009, but this copy is quite different from that one. 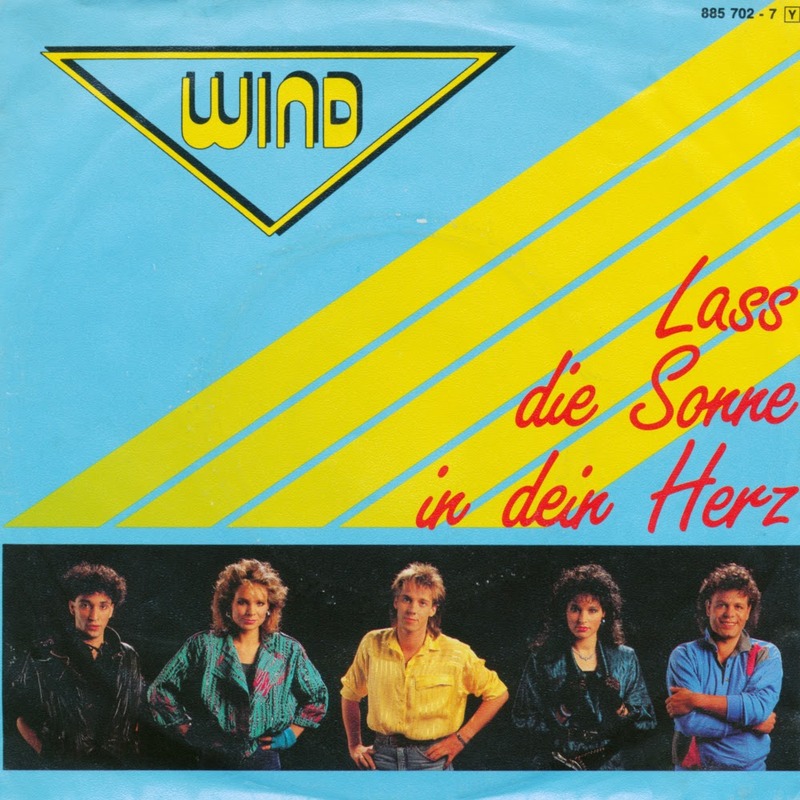 This one is the original German release, probably released right after their triumph in the national selection for the Eurovision Song Contest in 1987. 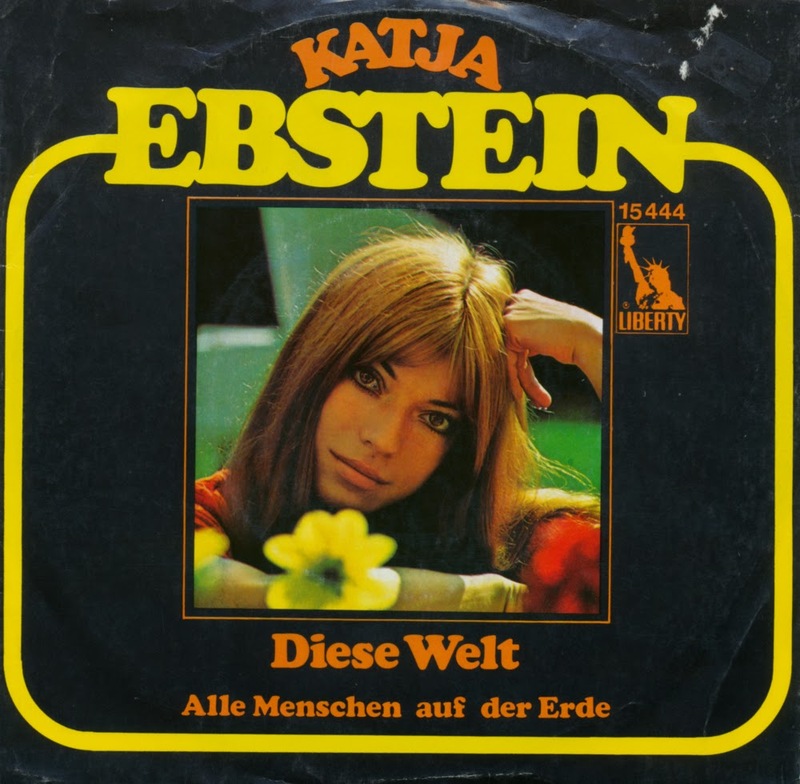 It features the B-side 'Immer dabei' instead of the English version of the A-side song (like on that other copy). Like I wrote back in 2009, the song was written and composed by longtime Contest contributors for Germany Ralph Siegel and Bernd Meinunger. It is a reggae-oriented track with a lyric full of positive platitudes. 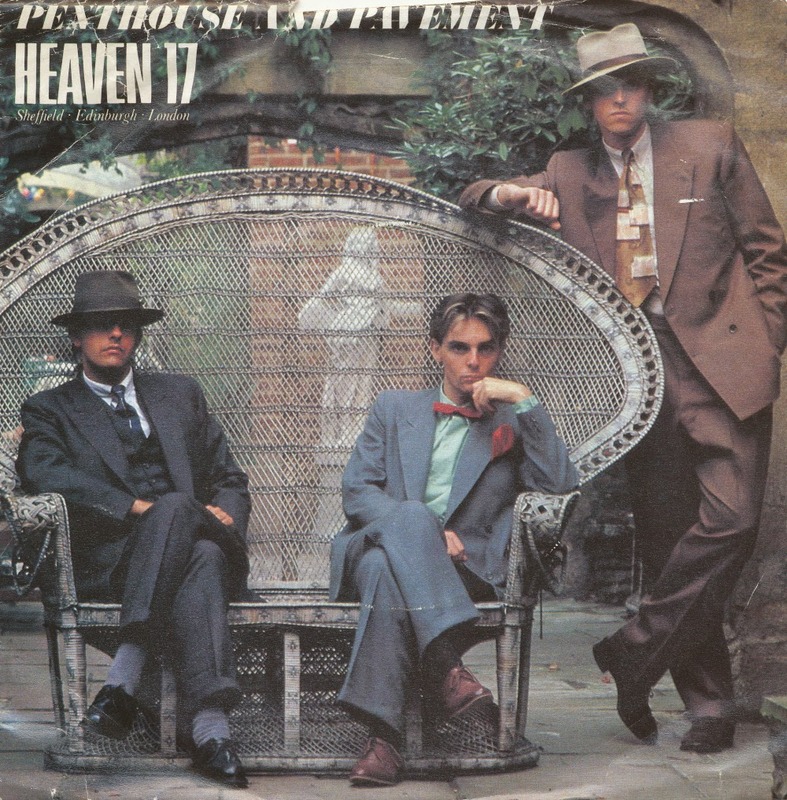 The title track of Heaven 17's debut album 'Penthouse and pavement' was released as the band's fourth single in 1981. The band never played the songs live until more recent years. Martyn Ware commented about this in 2010: "We absolutely resisted touring. We decided not to tour at all, or perform. Because Ian and I were members of The Human League, as you know, we spent two and a half years touring everywhere in Europe and Britain. And in those days - can you imagine this now? - the record company were paying quite a lot for tour support to get on big tours. So we toured twice with Siouxsie & The Banshees and with Pere Ubu, Iggy Pop, Stranglers, blah, blah, blah. And whilst it got us loads of coverage in NME and various style magazines, we weren't actually selling that many albums. (...) By coincidence it was just the start of MTV when we started BEF, and we thought that was an ideal mechanism for us to service a lot of markets simultaneously, spending the same amount of money we would have spent on tour support but instead spending it on videos, which is what we did." Classic albums come in many shapes and colours, but among them, The Beatles' 'Sgt. 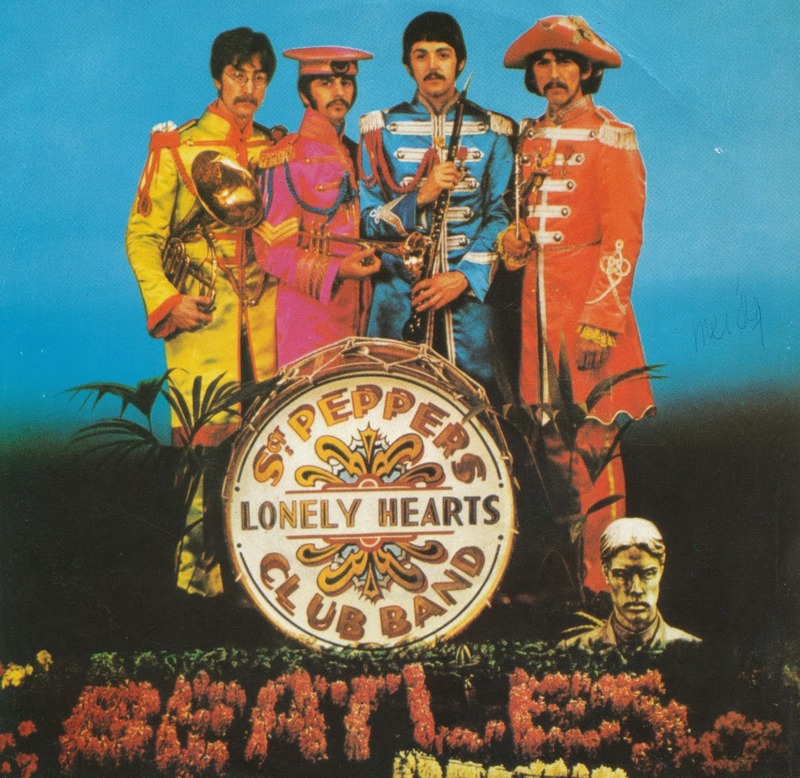 Pepper's Lonely Hearts Club Band' is especially loved by pop music historians. The album was full of experimentations that were quite innovative in their time. This single was apparently released in 1987, probably in conjunction with the CD release of the album. (Back then, record companies still released singles to promote products, remember?) The A-side is a double whammy of the title track and 'With a little help from my friends', while the B-side presents arguably the best track from the album. 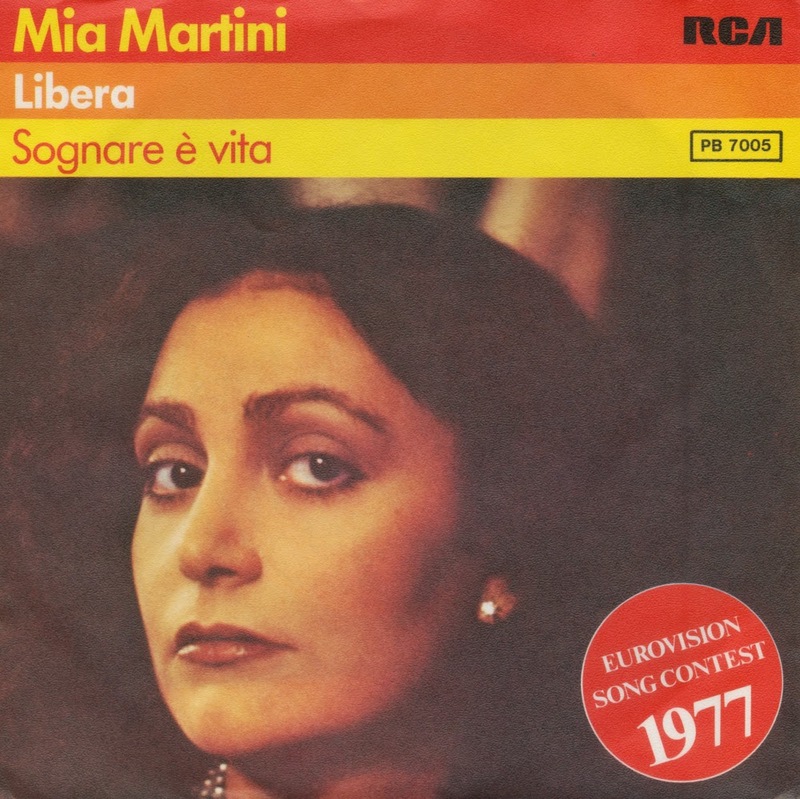 Long before Mia Martini participated in the Eurovision Song Contest with the beautifully depressing 'Rapsodia' (1992), she appeared in 1977 with 'Libera'. At the time, she was arguably Italy's most successful and celebrated female artist, having had a number of hits since 1971. At the close of voting, 'Libera' had received 33 points, placing it 13th in a field of 18 competitors. Martini recorded five versions of the song; the original ballad version, the disco version, the Spanish 'Libre', the French 'Libre comme une femme' and the English 'Freedom is today', the latter three all with the up-tempo arrangement. The 'oldies single' was an attractive way to get old songs into your singles collection, back in the Seventies and Eighties. 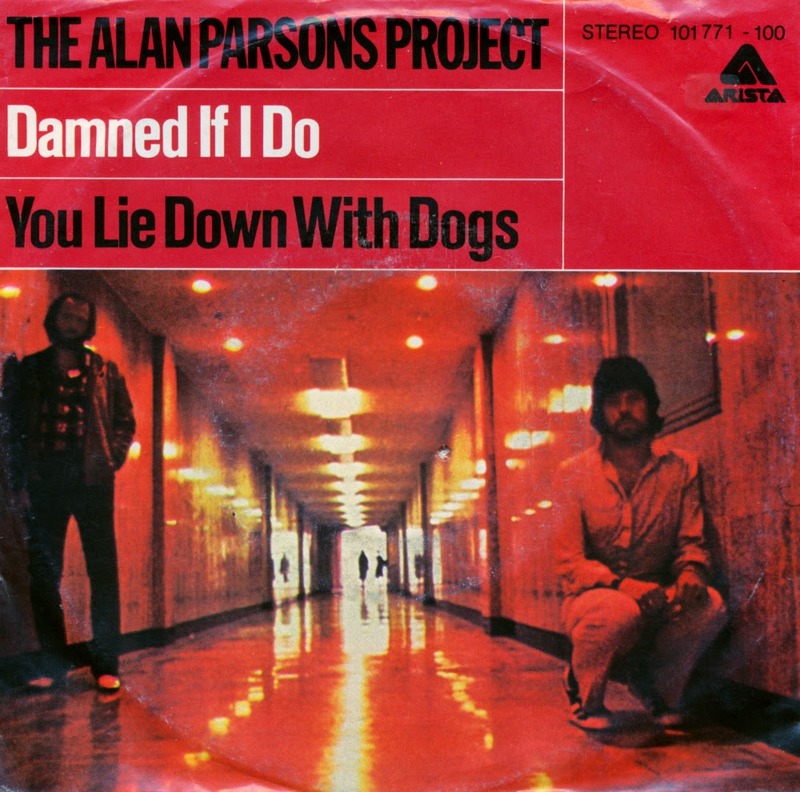 Warner Bros. had an attractive series of such singles, one of which you can see here. 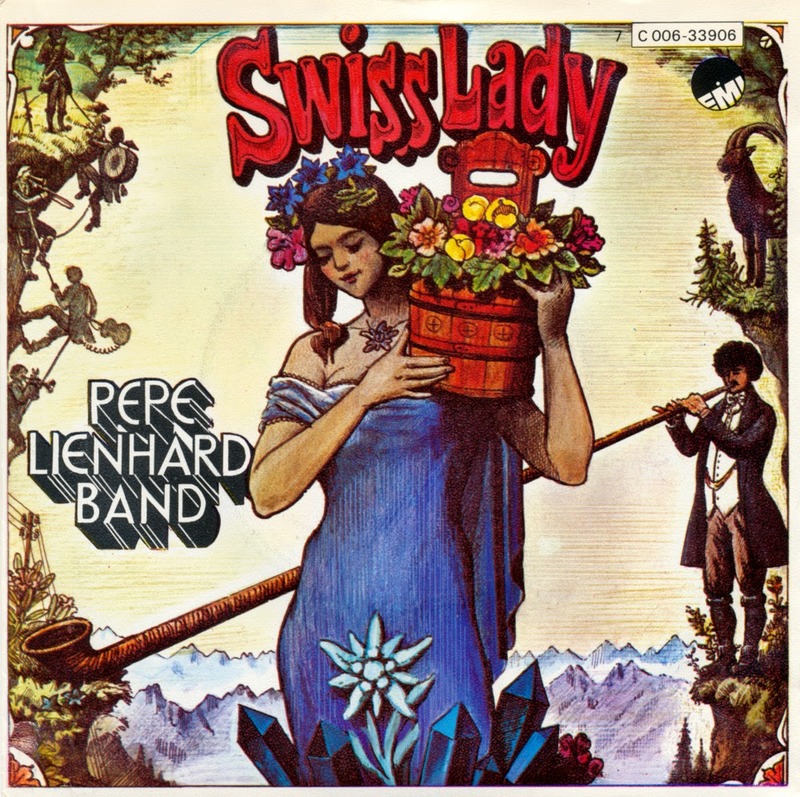 The sleeve was always the same: a small photo in the middle and a large logo above, inside a 'jukebox style' sleeve design. 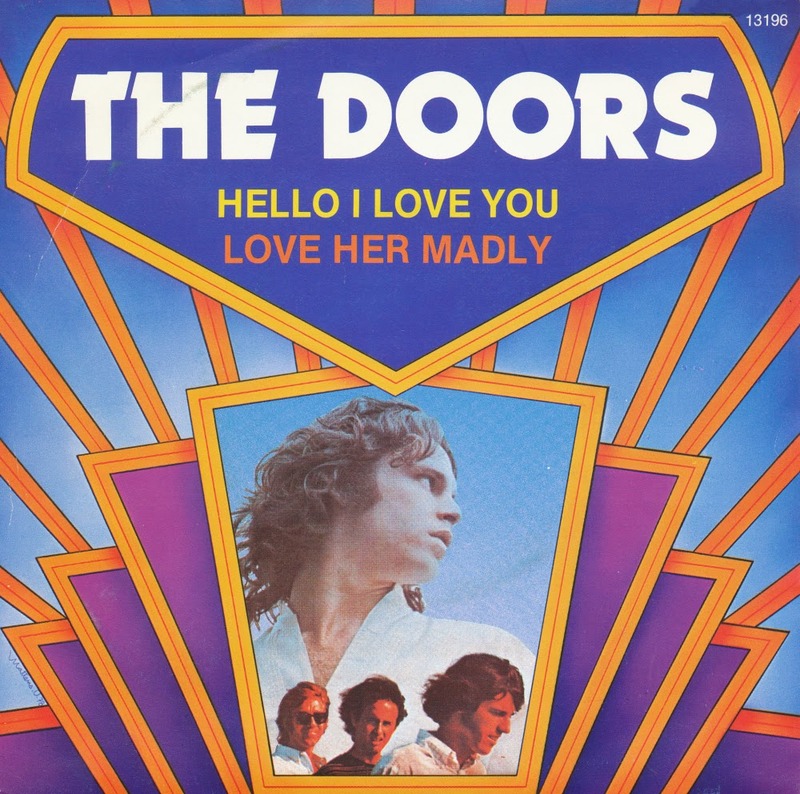 This single presents the 1968 hit single 'Hello I love you' and the 1971 hit single 'Love her madly', both by The Doors. Of course, both these songs are picked rather randomly, although obviously both have been big hits for the band. Long before Enya died and her subsequent albums were created by producers in a studio, reusing her vocals time and again, she recorded a self-titled debut album. The album was used as the soundtrack to the BBC documentary series 'The Celts'. The album includes only a portion of the music Enya composed for the documentary series. Hard to believe, but this single taken from the album sounds rather original. It actually sounds like Enya sang the words herself instead of being pieced together from previously sung vocals. However, the single did not chart. Her next single, 'Orinoco flow' would become a worldwide hit and would later turn out to be the first version of all her subsequent singles. 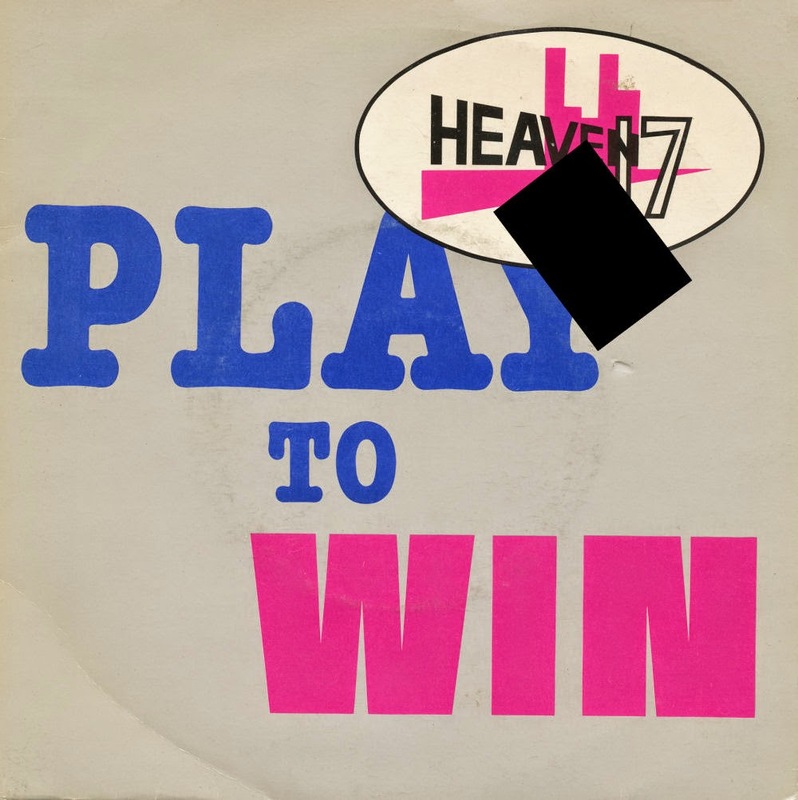 I have added quite a few Heaven 17 singles recently, including the double whammy of 'Play to win' and 'Penthouse and Pavement' that was released in the Netherlands. What you find here is the original UK version, featuring 'Play to win' and the instrumental (dub) version 'Play' on the B-side. That B-side is a treat for those who like this quirky electronic track, because it gives you the opportunity to check out all the intricate instrumentation behind a rather flippant and funky track. 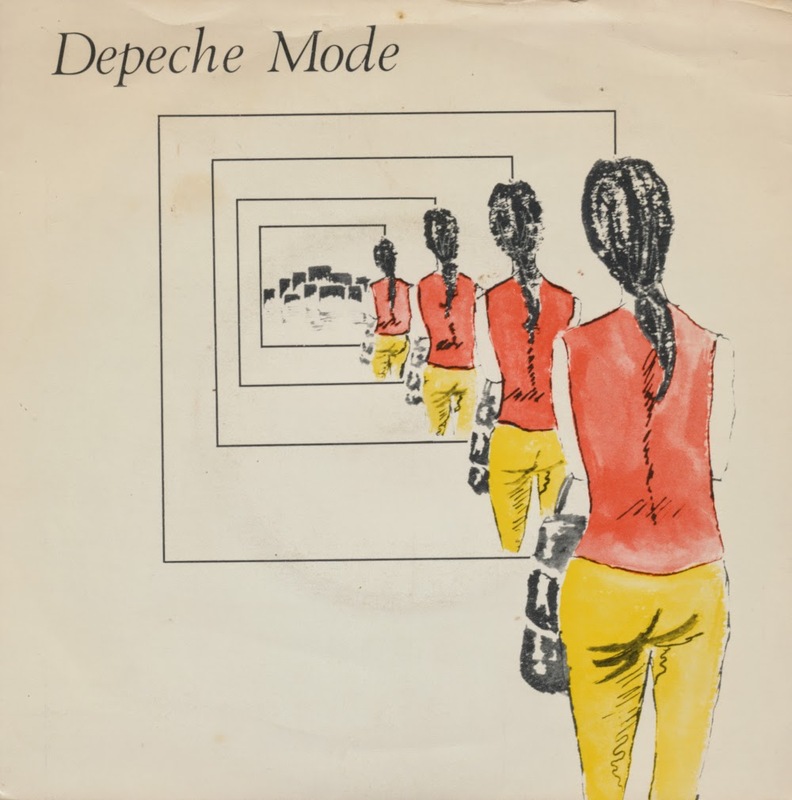 Attentive readers of this blog will have seen many entries about Depeche Mode, but one thing was still missing: the band's debut single. I never got round to buying a copy, didn't even know it was missing from my collection in fact. However, I have finally rectified this shortcoming. Released on February 20, 1981, 'Dreaming of me' only reached number 57 in the UK singles chart and was subsequently not included on the band's debut album 'Speak and spell'. Exactly 30 years after 'Dreaming of me' was first released in the UK, a fan action tried to push the track back into the charts by way of (legal) online downloads. 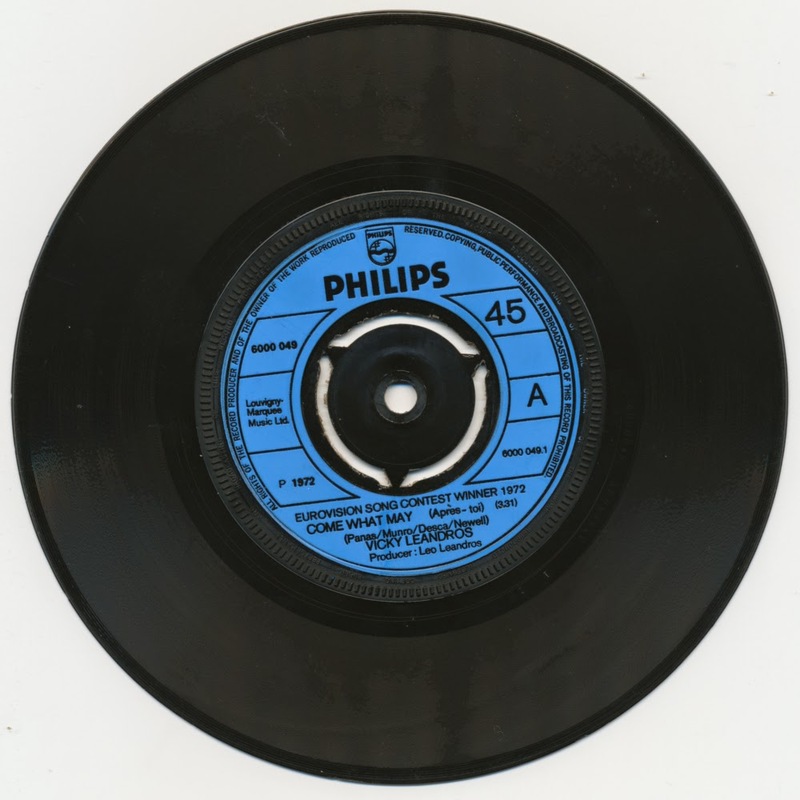 The action failed except in Germany, where the track entered the singles charts for the very first time at number 45 giving the band its 47th chart entry. Kraftwerk are pioneers of techno pop, and have been responsible for some of the most astonishing records of the Seventies. It's remarkable that they were able to produce music that sounds timeless even now, mostly thanks to the technology that has become mainstream now, but was quite difficult and expensive back then. 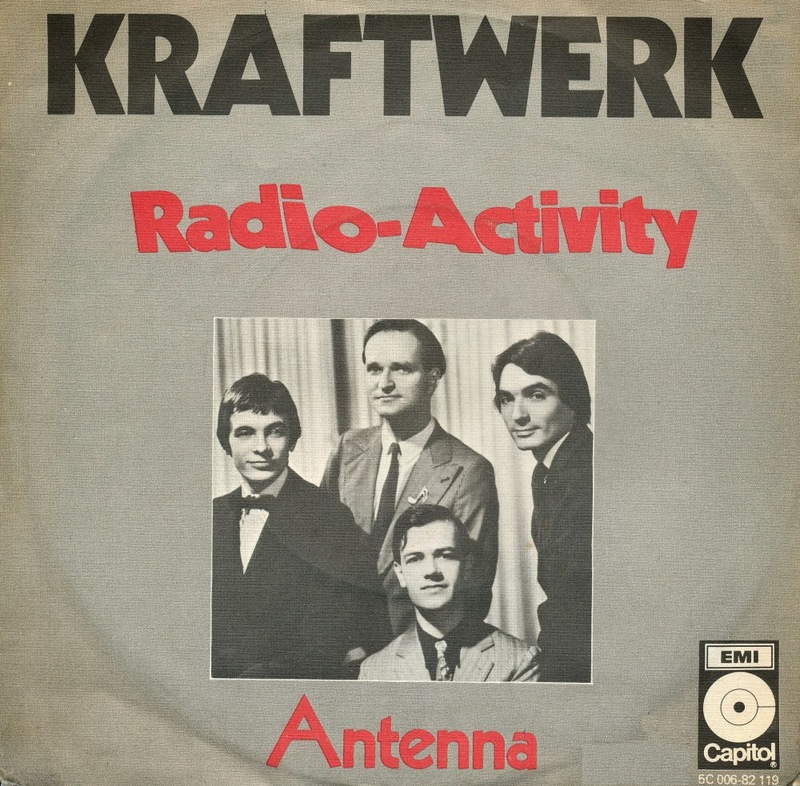 The hyphenated title of the album 'Radio-activity' (1976) displays Kraftwerk's typical deadpan humour, being a pun on the twin themes of the songs, half being about radioactivity and the other half about activity on the radio. 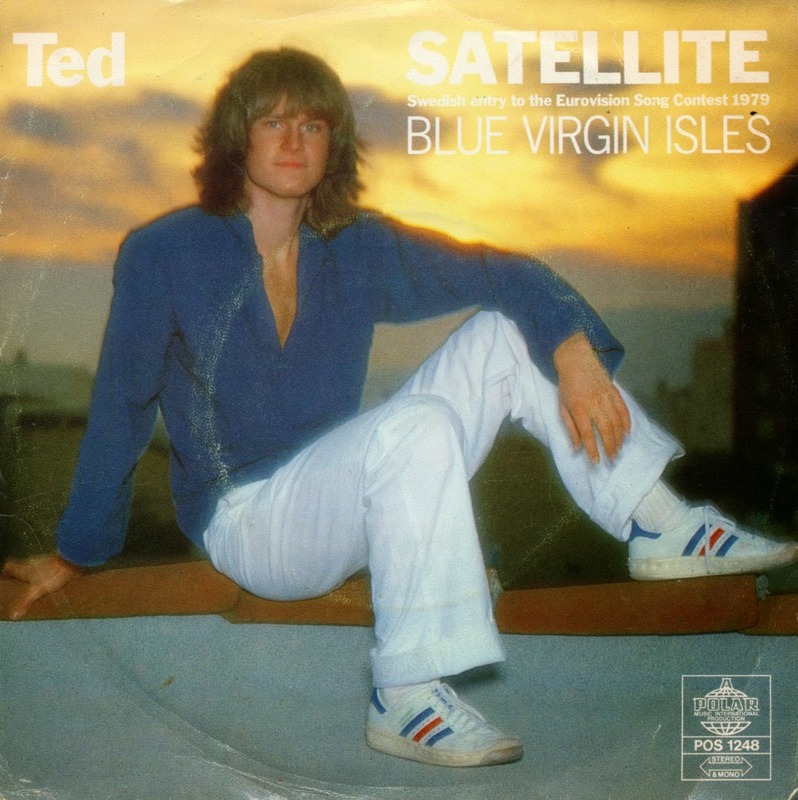 More word plays are evident in the track listing: "Radio Stars", which as a title could refer to pop stars, but upon listening is revealed to be about quasars and pulsars. 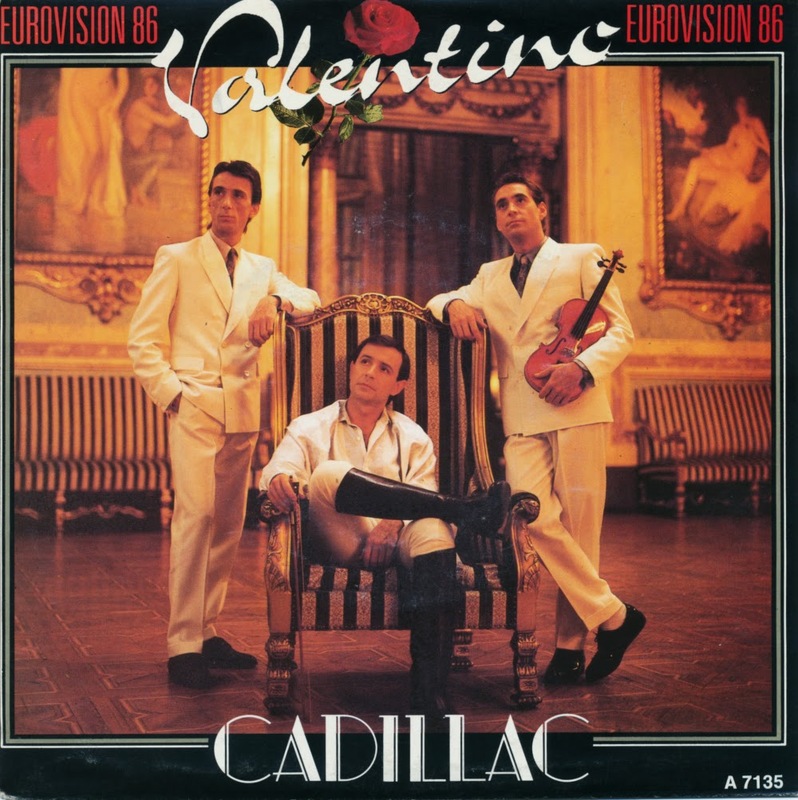 The title track was issued as a single and reached number 7 in France and number 31 in Italy - but failed to chart everywhere else.